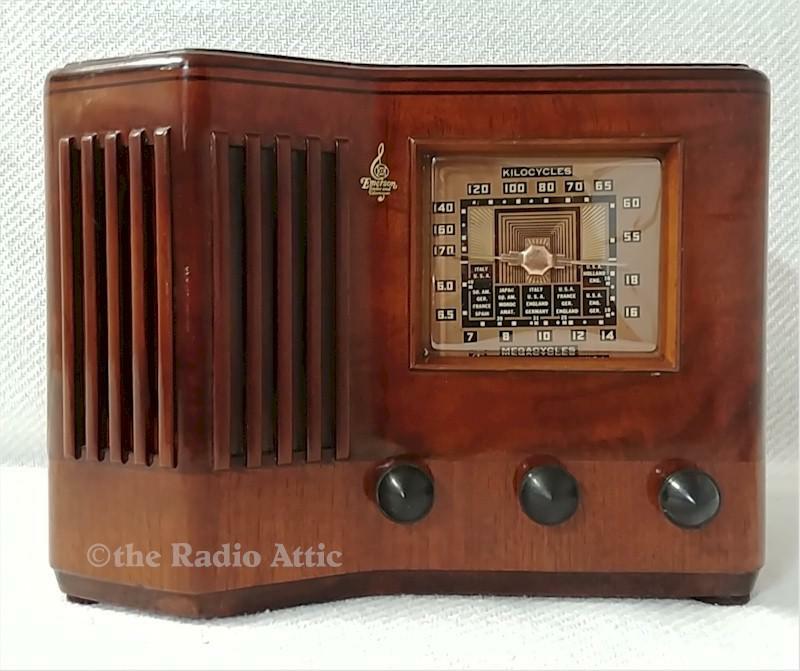 Here we have another fabulous example of an Emerson Ingraham cabinet radio. This six-tube, two-band (SB, SW) beauty is a picture of form and function. Blake has replaced all of the wax and paper capacitors with new Mylar caps. The resistors and tubes have been checked and replaced where needed. The chassis has been fully restored and aligned for peak performance across the dial. Gary has refinished the cabinet with lacquer and toners and hand rubbed it to be like a "factory original." A new crystal clear dial cover, line cord and audio adapter have been installed. 12-1/2"W x 9-1/2"H x 8"D.